Mganga Item Builds Guide for Arena of Valor (AoV). Each build is geared toward a different play style, so choose one that fits your personal preference. These items are necessary in order to play Mganga optimally. Only diverge from a core item if you are a very experienced player and/or you have a very good reason for doing so. Frosty’s Revenge Frosty’s Revenge is a must-have for Mganga. Its Chill passive synergizes extremely well with his abilities, increasing the amount of influence he has on enemies. In addition, it will be much easier to stack Voodoo Marks on targets when they are slowed, thereby making Mganga’s damage much more reliable. Hecate’s Diadem Hecate’s Diadem is a staple for pretty much any damaging mage. It grants both an incredible amount of ability power, increasing the amount gained from other sources on top of that. Mganga’s poisons will be able to set in much more quickly and deadly with Hecate’s Diadem’s help. 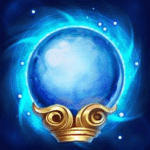 Orb of the Magi Orb of the Magi is an excellent item for mages, allowing them to use their abilities more freely when laning. The refresh that it provides can keep the wielder in the lane for the entirety of the laning phase. The experience and gold this allows them to gather will keep the mage strong and relevant as the game goes on. The stats it offers are rather nice as well, the item granting generous amounts of health, mana, and ability power. Boomstick A great source of offensive potential, Boomstick can give Mganga’s abilities quite a bit of extra punch. It offers a large amount of ability power and a 1.0 ability power explosion when a spell hits. This will give Mganga a bit more bursting potential, particularly with Detonation, which will have exceptionally more bite under Boomstick’s influence. Rhea’s Blessing Rhea’s blessing offers defense along with its magical boosts. Its magic lifesteal will give Mganga a steady trickle of health so long as his enemies remain poisoned. In addition, the item provides a shield whenever the wielder’s health drops too low, giving them a bit of time to escape from tight positions. Holy of Holies Holy of Holies is another great item for most any mage. While lacking any sort special passive, it grants an insane amount of ability power and health. Simultaneously increasing Mganga’s lethality and survivability in such a dramatic amount will always be a good choice. Zweihander Mganga’s attacks are often overlooked as a source of Voodoo marks, but they can help him quickly pile poison onto his enemies. Zweihander amplifies this process, both by increasing Mganga’s attack speed and by increasing to potency of each attack. The stats that Zweihanders are nice as well, Mganga benefiting greatly from additional ability power, mana, and movement speed. Apocalypse Again tapping into Mganga’s normal attacking potential, Apocalypse boosts the damage of an attack after an ability is cast. With Mganga’s relatively low cooldown abilities, this will come up quite frequently and lead to large amounts of extra damage being added to his arsenal. The stats it provides are pretty good as well, offering large amounts of ability power and cooldown speed. Enchanted Kicks Enchanted Kicks are Mganga’s standard boots upgrade. This allows him to cut through enemy defenses with his abilities, keeping his poisons potent and relevant throughout the match. Flashy Boots provides cooldown reduction, helping you harass enemies more often with abilities. You can run with this upgrade if you’ve decided to build Mganga more as a support for the team than as a damage dealer. Arctic Orb Mganga doesn’t have any mobility whatsoever, so getting this item for him will greatly increase his chances of surviving crucial team fights. Mganga can be a strong mage, but dying first in a team fight might cost you the whole game. Here we build Mganga as a pure caster, doing all of his damage through his abilities. All of the items empower his abilities in some way, either by adding to the amount of damage that they do or by adding an additional effect to their use. Frosty’s Revenge is the main compromise from straight ability power gains, its slowing effect too good to pass up on. Mganga will be casting from as much of a distance as he can manage to remain safe, moving in just close enough to affect enemies with Detonation. While Mganga won’t have quite the same ability power build as in the above caster build, he will still be able to dish out hefty amounts of damage here. This is due to a heavier focus on empowering his normal attacks along with his abilities. Zweihander will increase his attack speed and give his attacks some extra punch while Apocalypse turns attacks into an effective fourth spell after he uses an ability. While lower than our other damage build, Mganga will still hold onto a comfortably high amount of ability power here. Hecate’s Diadem still provides its large amount of power, every other item contributing to his overall ability power score in some way. This build moves away from the role of damage dealer and into one of support. Allies can be marked with Voodoo marks, healing for the amount that the mark would usually damage. This, along with his ability to slow enemies, gives Mganga some potential to set up kills while babysitting his squishy allies. His slowing ability is amplified with Frosty’s Revenge and Frost Cape, both bringing enemies to a crawl when used together. 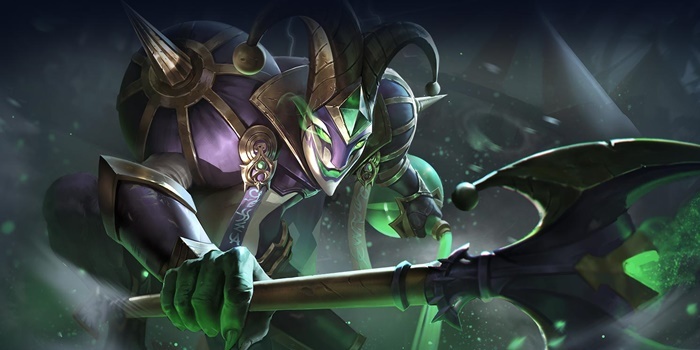 The items present bring him to the coveted 40% cooldown reduction cap, allowing him to constantly throw out poisons to slow and damage enemies or heal allies. This is a build that allows Mganga to hit enemies with Voodoo marks very quickly. This can be a huge benefit to his damage and allow the mage to tear down enemies very quickly. This will have a bit of a slow start, but should turn Mganga into a capable presence mid game. This build has seven items, so one would need to be removed.